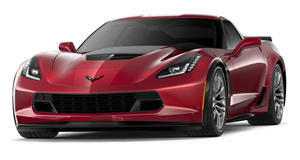 Have a listen to the Corvette ZR1’s vicious V8 roar in this new teaser video from Chevrolet. Chevrolet probably isn’t too happy about the leaked Car and Driver magazine cover that allegedly revealed some very tantalizing details about the upcoming Corvette ZR1. While we originally assumed Chevrolet was planning to reveal the Corvette ZR1 in its homeland at the LA Auto Show later this month, speculation suggested the car will make its world debut at the Dubai Motor Show next week. This has now been confirmed by a teaser video released by Chevrolet on Instagram, which points to an official reveal this weekend on November 12. The short but sweet video gives us a brief look at some of the Corvette ZR1’s aggressive exterior features, including two of the four exhaust tips, a section of the large rear wing and part of the front fascia, along with other aero parts. We also get to hear a sample of its V8 engine roar, and it sounds ear-pleasingly vicious. According to the leak, the Corvette ZR1 will be powered by a LT5 supercharged 6.2-liter V8 engine delivering a substantial 750 horsepower – that’s 100-hp more than the already-potent Corvette Z06. The specifications only get better from there: top speed is rumored to be over 210 mph, while 0-62 mph will take less than less than three seconds. It will also do the quarter mile run in under 11 seconds. The Corvette ZR1 will also be available with an optional ZTK performance package that adds more aggressive aero parts including the larger rear wing seen in the teaser. It’s expected to weigh 3664 lbs, making it 140 lbs heavier than the Z06, and be available with either a seven-speed manual or an eight-speed automatic. Prices are expected to start at around $120,000. Mark your calendar for November 12th, because the high-performance Corvette ZR1 is about to make quite a comeback.